Amy O’Neill’s most recent sculpture and installation work, “Victory Gardens” refer back to the war effort in World Wars I and II, in which American and English citizens were urged to plant vegetable gardens to put food on their tables, and to instill, particularly among children, a work-ethic and the kind of patriotism that was seen as essential to the times. 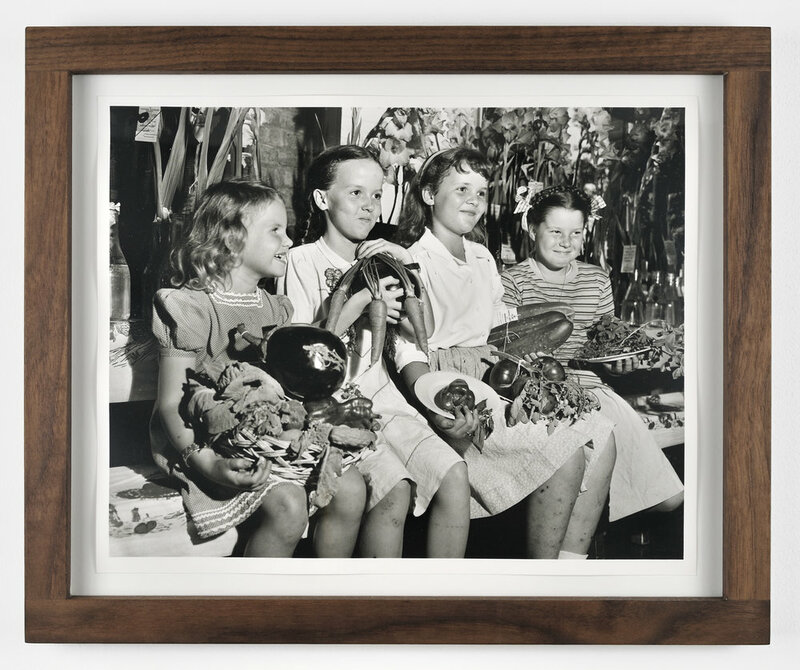 Among the vintage images related to these gardens that have been collected by the artist, many show smiling, wholesome young girls posing with the fruits of their labor, casting them not only as future homemakers but as mothers. Propaganda posters were printed with slogans like: “Sow the seeds of Victory - Every Garden a Munition Plant”. The “seeds of Victory” can also be thought to refer to procreation, and the original garden is, of course, the one from which we all supposedly emerged: God and country. 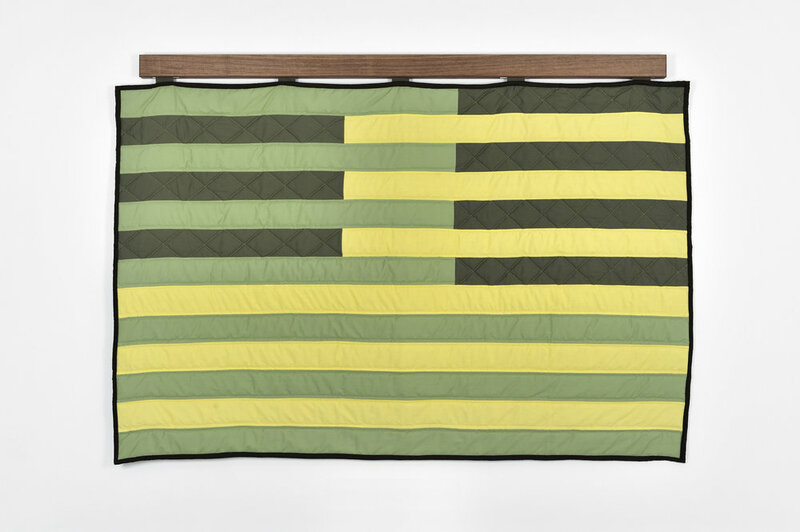 O’Neill’s “gardens” have the structure of American flags, connecting them to the deconstructed flags that she produced in 2008-2009, and which comprised in large part her exhibition, “Pilgrim Motel”. Those flags, collectively titled “Deconstructing Thirteen Stripes and a Rectangle”, appear tattered, and battle-torn, signs of valiant efforts to defend liberty. As the flag configuration appears in the Victory Garden works, it is composed of narrow bands of burlap bags filled with sand. They are thus also sandbags, having strong associations with battlefield protection and the trench warfare of World War I, as well as with retaining walls constructed in times of fooding, mean to shore up riverbanks and leeves. But there is the possibility that in wrapping oneself in patriotism, there is also a burying of one’s head in the sand, metaphorically refusing to see things for what they are, to face the facts. These works have been produced in different sizes, mostly in scale to the kinds of flags that are displayed in front of American homes. 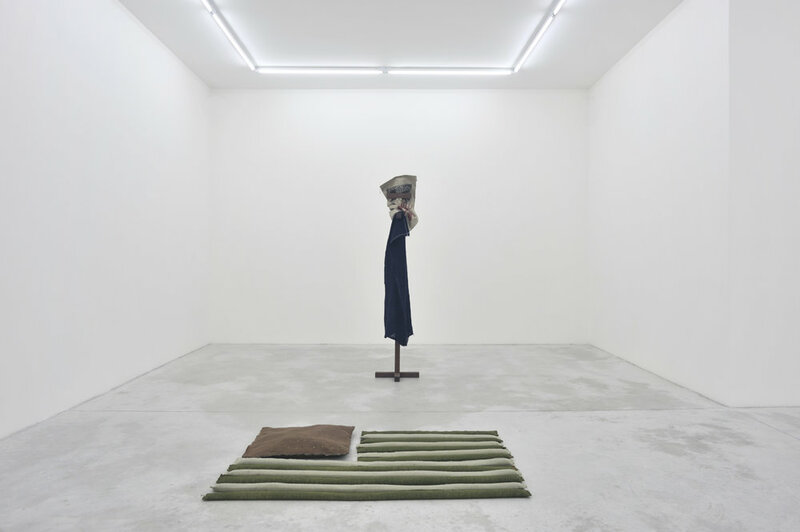 With their flag configurations, and the way that the pieces sit low or prone to the ground, these works have to be seen as anti-monuments. Made in a time of war, and with the prospect of perpetual conflicts around the globe, O’Neill’s symbolic gardens are more fallow than bountiful, watched over by a scarecrow that has nothing to protect, mute and standing guard in an empty field. 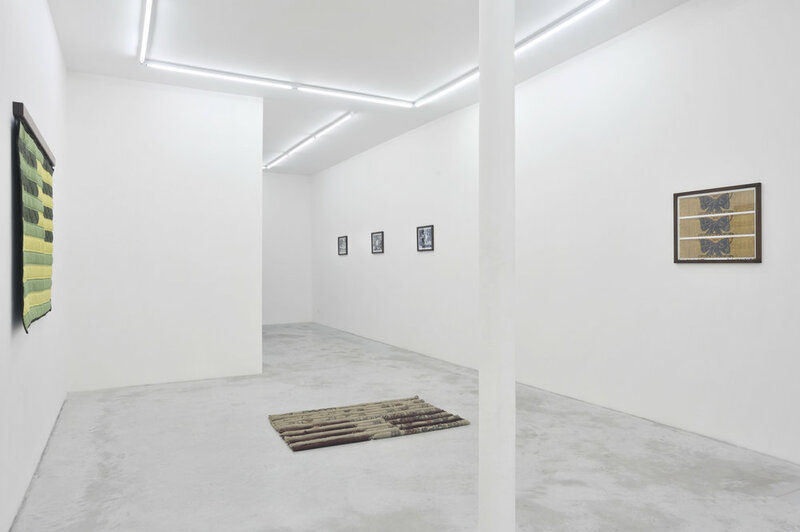 O’Neill’s newest works arrive at a juncture of both resignation and hope. 2011 finds her metaphorically planting “Victory gardens” in galleries and in exhibitions, her “Service on the Home Front”. 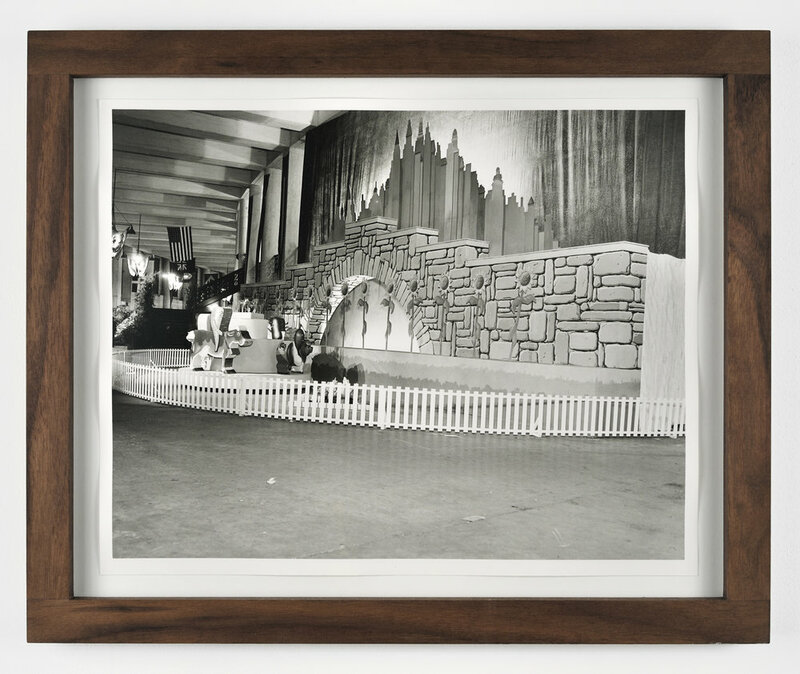 With the passage of time, one is able to see how her thematic concerns, her subject matter, and her own personal history are all interwoven - a process for which she offers reciprocal images: the flag unraveled and the titled earth of the garden. O’Neill is a storyteller of sorts, and while her cast of characters and locations are for the most part amusing and light-hearted, her view has always been shaded in darker tones. In O’Neill’s world there is no sentimental longing for the past, rather, she reminds us that while never truly reconciled, the presence of the past is always with us, and haunts us, a lens through which we are able to view the circumstances in which we find ourselves today. Amy O’Neill is an artist whose project is both in, and against, the American grain.